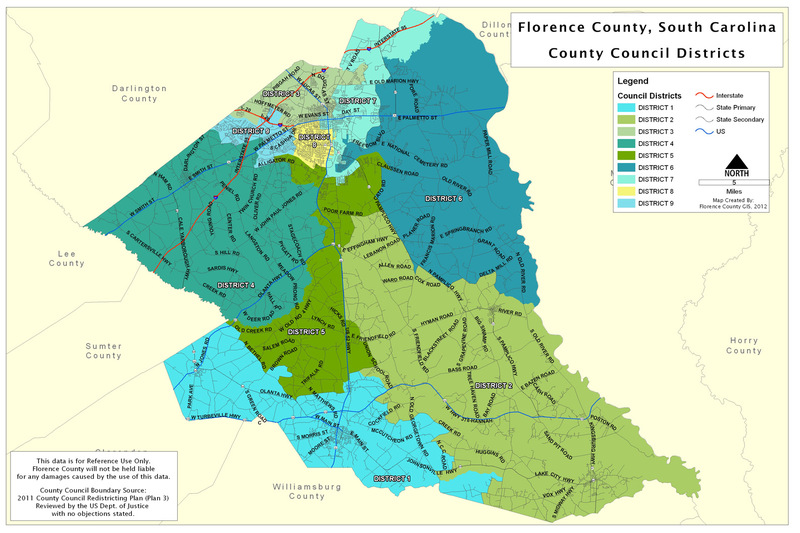 Located in the northeast region of South Carolina, Florence County is located approximately 65 miles inland from the Atlantic Ocean. The terrain is gently rolling to level, typical of much of the Coastal Plains. The area is drained by tributaries of the Pee Dee River. The climate of Florence is relatively temperate. The warm season season begins in May and extends well into September. The terrain offers little moderating effect on summer heat. The summer rainfall is the heaviest of any season, averaging 36% of the annual total. Winters are usually mild although temperatures can range as low as 20. Snow flurries may occur though it is unusual to have any measurable amount of snowfall or a snow cover lasting more than a day. Florence has an average growing season of 241 days. The growing season lasts from about March 17 to about November 13.